A young mom, I laid sobbing on our couch in our basement. It was my reaction to a comment I received that day. A comment which validated feelings of unworthiness and unacceptability. I laid there, loathing myself. “Why did you make me this way?” I asked God. His truth settled deep in my soul. It was opposite of what I believed about myself. Having had an eating disorder since fourteen, I honestly believed I was unacceptable “as is.” Faulty thinking told me there was always something I had to fix about myself. I’ve spent most of my life striving. Trying to figure out who I am, where I belong, and how to be better. I’ve constantly tried to be more acceptable. That moment didn’t change my self-esteem. But It began a journey of understanding of God’s grace. Extending grace to myself was something I searched for, but didn’t now how to accept. A few years later, another moment defined God’s grace. While in graduate school for counseling, I sat in a room full of strangers who called out weaknesses and faults they perceived about me. It was class which identified blind spots of potential counselors. I felt vulnerable and exposed in an uncaring environment. The experience was traumatizing to an already fragile self-image. Driving home that day, again, I sobbed. Tears flooded my vision, mirroring the rain on the windshield. I found a CD of old hymns and put it in the CD player. One song, in particular, spoke directly to my pain. I can’t remember the song, but I remember the message; God’s eyes are on us, seeing every part of us. It was a personal message from my Savior. He told me He saw my pain. He saw the weaknesses the others did, and still loved me. 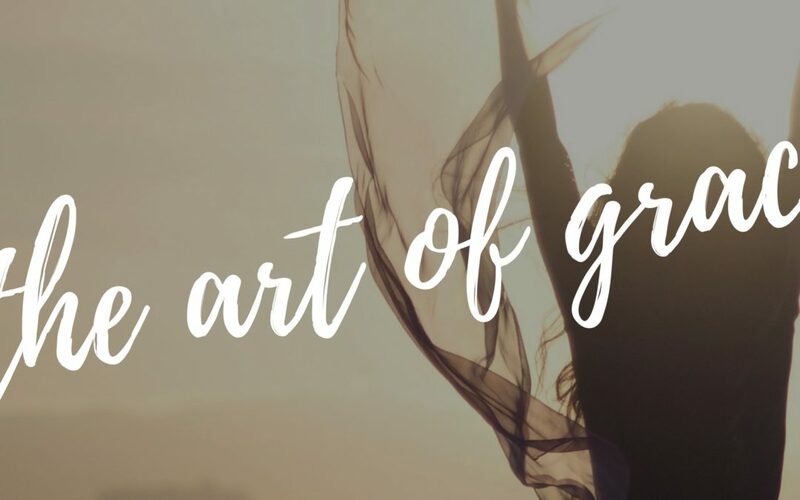 The song’s message brought me to the throne of God’s grace, holding me there as I persevered through graduate school, not giving up when my emotions said I should. Receiving God’s grace has been healing. I’m learning I don’t have to be fixed. I’m learning to give myself grace. I’m learning I don’t have to be fixed. I’m learning to give myself grace. I’m accepting the extra pounds on my frame, instead of striving for a smaller size. I surround myself with peers who reciprocally accept one another for who we are. I work in my strengths, rather than fixing my weaknesses. I apologize when I’ve hurt someone, receiving God’s grace when I do. Giving yourself grace is a hard thing. As believers of Christ, He expects nothing else. There’s nothing we can do to make Him love us more, and there’s nothing we can do to make Him love us less. 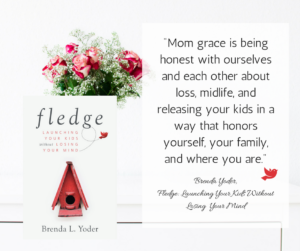 If you are a mom and need a specific kind of grace – mom grace – get my new book filled with grace for moms. 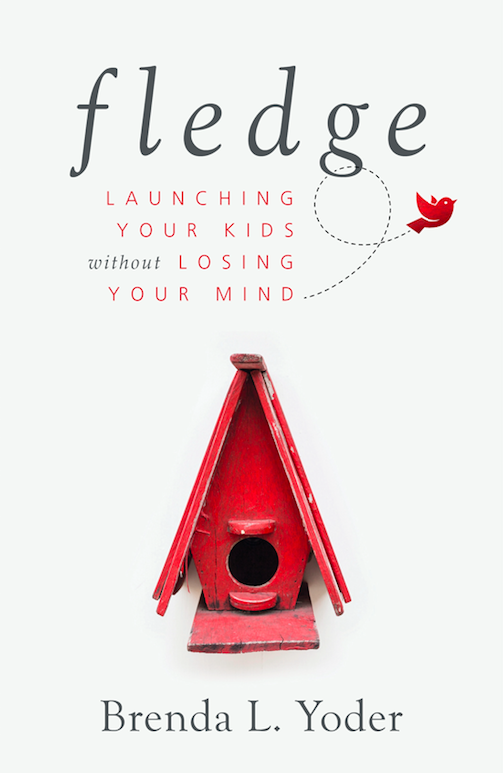 Fledge: Launching Kids Without Losing Your Mind releases March 13 and is now available on Amazon. It was Amazon’s #1 new release in Motherhood the week of Feb. 22. Get it here. If you’re local, join me for a book signing on March 17, 1-3 pm, at The Glow Christian Bookstore, Shipshewana. 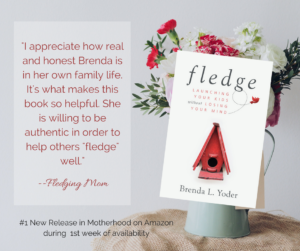 Listen to the first podcast about Fledge here. 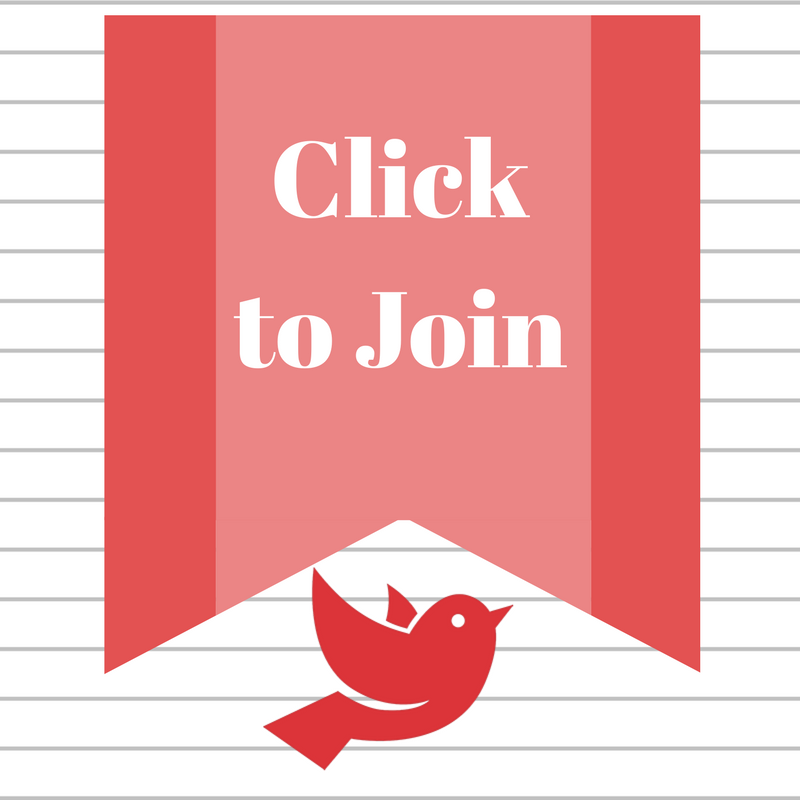 Are you an aspiring writer? 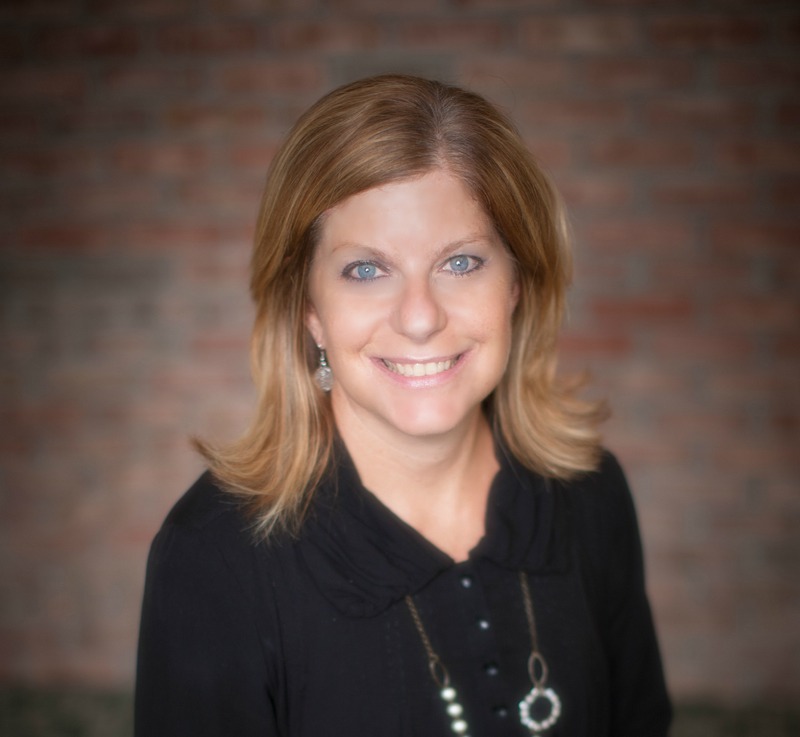 Want to tell your story or your family story? 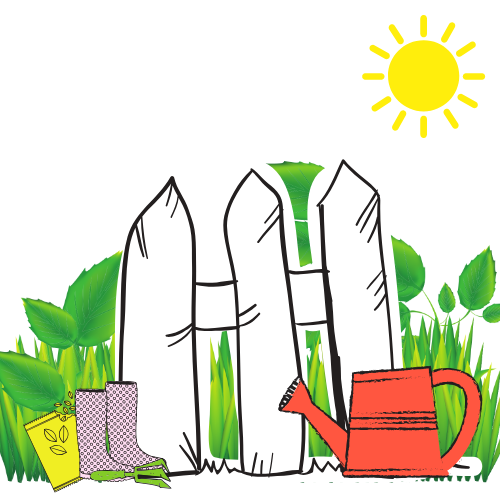 Join us for a local writing workshop on March 17, 9-11 am, at The Farmstead Inn. Learn more here.